A-I chief warns employees unions against disrupting airline's services, adding that the carrier may take some stringent measures for the airline to get out of financial trouble. The statement assumes significance as the 14 unions of Air India, representing over 32,000 employees, have announced their decision to shun work in a protest against the management's indifferent attitude towards their demands. 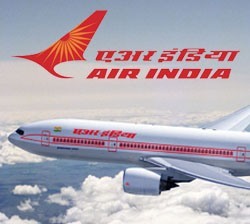 The Chairman and Managing Director of Air India, Mr Arvind Jadhav said: "The airline may be compelled to prune its operations leading to lay-offs and retrenchment." It should be noted that the airline board has announced 50 per cent reduction in performance linked allowances and flying allowances, a proposal which was rejected by the union. Mr Dinakar Shetty, President of Air Corporation Employees Union said: "Our salaries are in line with the pay-scales at other public sector companies. So, any sort of wage cut is completely ruled out. However, there are other areas where costs can be controlled and we are open to that." Meanwhile, Air India spokesperson Jitendra Bhargava said that the carrier should either cut costs or go for lay-offs for the airline to run profitably.